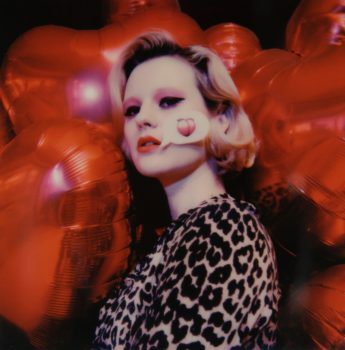 Get a free cuppa this World Poetry Day, as the “Another Love” singer teams up with the coffee experts. Coffee. Can’t live without it. Can’t live without it. 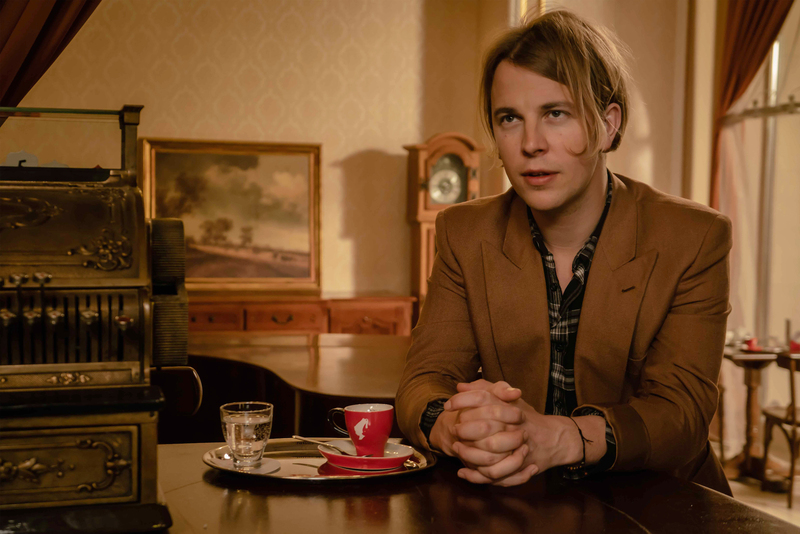 And today, for World Poetry Day, Brit favourite Tom Odell has teamed up with Viennese coffee roasters Julius Meinl to bring you not only coffee, but some poetry as well. As part of the Pay With A Poem initiative, the platinum singer-songwriter is encouraging people to switch off from the digital world and get creative, with the “Pours For Inspiration” campaign. We’ll break it down. On 21st March, coffee-lovers can use their handwritten poem to pay for a cuppa (of coffee or tea!) in participating coffee houses serving Julius Meinl in over 40 countries worldwide. So put your pen to paper, and get that caffeine! What was your first ever experience with poetry? Probably reading the lyrics in the album sleeve to Goodbye Yellow Brick Road when I was 12 while listening to the songs. It was as if it awoke my imagination for the first time, all this colour and depth to these stories. I was hooked, and spent much of my time as a teenager seeking out poetry, whether it was with or without music. Somewhat obviously perhaps, my favourite poem is “Piano” by D H Lawrence. It was actually Richard Curtis, a fellow piano enthusiast, that happened to send it to me, only a few years back, and it instantly touched me and took me straight back to my childhood. “A child sitting under the piano, in the boom of the tingling strings/And pressing the small, poised feet of a mother who smiles as she sings.” Beautiful! What attracted you to Julius Meinl’s Pay with a Poem campaign in the first place? I love the Pay with a Poem campaign, and I love coffee. 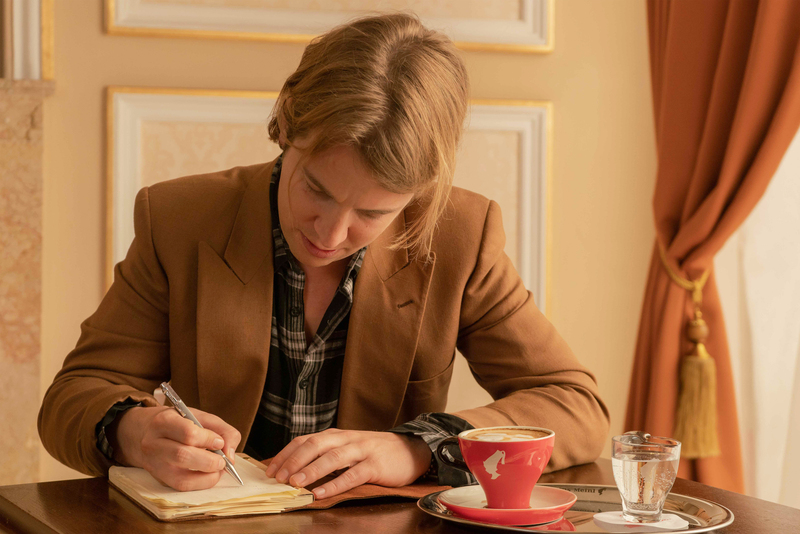 Working with Julius Meinl has encouraged me to share my creative process and in turn, encourage more people to put pen to paper, and be inspired this World Poetry Day, and every day. Ever since I can remember, I’ve been filling notebooks full of words. I love all things literature and poetry. And, I think in this age where we can be entertained by a film, tv show or game at the touch of a button, putting put pen to paper is still such a powerful way to express one’s self. It certainly inspires my imagination. I want to gently encourage people to take a moment in their day to put down their phones and perhaps write a couple of phrases. It’s amazing what emerges. Plus you get a free coffee! What do you hope this initiative will achieve? Well ultimately, it would be great to see a few more people writing poetry. Why is it an important initiative to you – do you think people are becoming increasingly less creative? I think important is perhaps too strong a word. It’s a positive thing to do. That’s what it is. Really positive. I like the idea of a few coffee houses across Europe filled to the brim with people frantically writing poetry so they claim their free coffee. Who doesn’t want that? It’s a marvellous idea. A sort of poetic black Friday. Do I think people are becoming less creative? People definitely spend more time on their smartphones than I think even Steve Jobs had envisioned. There are points where I feel that the digital realm will become a reality more populated than the physical one, perhaps that’s already happened. It makes me think of that film Wall-E, with all the humans on the space ship just above the earth, living out their lives artificially. A sad existence. But perhaps we are already living in a simulation like Elon Musk thinks. Do I think we’re less arty? No… Go to Shoreditch house in the summer and see the poses people will pull to get their posteriors as close to a Kardashian as possible. If that ain’t art, (albeit steeped in vanity) I don’t know what is. What is your relationship with the online world? The digital world is a space where I can sometimes struggle to find meaning. We see dozens of song lyrics, quotes and verse posted on Instagram every day, but how many of us can say we actually feel connected to that? As anyone who follows me on Instagram will know, I am a real advocate of putting pen to paper. Whether I am at home, seeking inspiration over a morning coffee or travelling, I believe there is something very freeing in taking a moment out of the day to write. I will allow myself time to process thoughts and feeling about the subject matter first. The act of writing then means I am more considered in my approach to lyricism, and I hope that level of authenticity comes through in my work. Increasingly more so then ever, it is important to take time out from the digital world. It seems quite sad to me that when we see something beautiful or memorable now, our first thoughts are to watch it unfold through a 3-inch screen. I’m guilty of that too. But there is a huge part of an experience that your phone will never capture. The smells, the feel, the million little pushes and pulls on our senses. Do you think social media is positive or negative to art? Well, there are two examples that spring to mind on the positive side. The first one is, over Christmas I discovered this singer called Courtney Marie Andrews and I completely fell in love with her music. The lyrics spoke to me in a way that felt they must have been written for me, and me only. I love that feeling. I searched her on instagram and sent a message letting her know this. I didn’t expect a reply. But within a few hours, she had replied, and we began a conversation which amounted in me recently flying over to Nashville to make music with her. Without Instagram, I’m pretty sure that wouldn’t have happened. Wonderful. But of course there are all the negative effects social media has had on art, i.e people’s ever decreasing attention span, peoples life long work being shrunk to the size of phone screen, the increasing transience of it all. Of course lots of negatives. But as artists, we gotta keep up, as Bob Dylan said, ’then you better start swimming, or you’ll sink like a stone, for the times they are a-changing’. How do you think the online world and social media has affected our ability to share freely and create art? I remember watching that famous David Bowie interview he did at the end of the 90s where Jeremy Paxman is arguing the internet is just another mode of communication like the fax machine or the post, redundant beyond its use of sending emails. But Bowie, in his divine wisdom, is adamant that Paxman is wrong, and that the internet would change the face of the planet as we know it, revolutionise art and music and commerce in a way we could never imagine. And he was right! And in a lot of ways I think the digital revolution has done wonders to the world art and music. When I read about the music industry in the 80s and 90s, the record execs sat in their leather chairs hoarding cash like Mexican drug cartels, whilst I can’t deny it would be quite fun if it were still like that now, I don’t think it’s good for the music. Those are certainly my least listened to decades in music. There is something quite democratic about the way any of us can put a song on YouTube. Is it always that idyllic though, of course not. Is it even that free? Definitely not. What would be your advice to get people started on creating poetry? I certainly spend a lot of my time keeping myself inspired. Whether that be reading, listening to music, seeing art. I think best inspiration is adventure though. I remember telling my mum when I was in my teens, that, “I don’t wanna watch tv, I wanna be in it!” But then, that statement does some hold resonance within me today. I like to think I say yes to things. My curiosity about the world is insatiable as it was when I was 18. And as long as one has that curiosity, as long as you can keep stoking that fire, I think the dreaded writer’s block will keep away. What would you have done if you weren’t a singer? I often think about what I’ll do if my career as a songwriter dries up. There are so many things I’d like to do. I’d like to do them all. I’d like to a tube driver. I’d like to be photographer. I’d like to be a florist. I tell my friends I’d like to be an Uber driver and they laugh at me. But I am serious. When I drive around, I sometimes like to pretend I have a passenger in that back that I get to awkwardly share a glance with in the rear view mirror, feeling all smug because they are hammered and I am sober and won’t have a hangover tomorrow. What are your daily rituals when songwriting? I prefer writing on the piano, but I have been touring for the past 6 months so it has often recently been a guitar in a hotel or dressing room. I do this transcendental meditation, which makes me feel quite present, and when combined with coffee results in the kind of frantic writing not entirely dissimilar to the chaotic answers in the words above. Favourite coffee shop in London? Caffeine on Great Tichfield Street in the centre of town. My manager used to have office next door, and I dunno, it just reminds me of good memories.